The star of the autumn season is the pumpkin, from Thanksgiving pies to carved Halloween creatures. I found this beautiful tiger pumpkin that immediately made me think of a carved soup bowl rather than to carve it up. The curry powder gives this creamy soup a little kick & I garnished it with crunchy coconut & a drizzle of maple syrup. 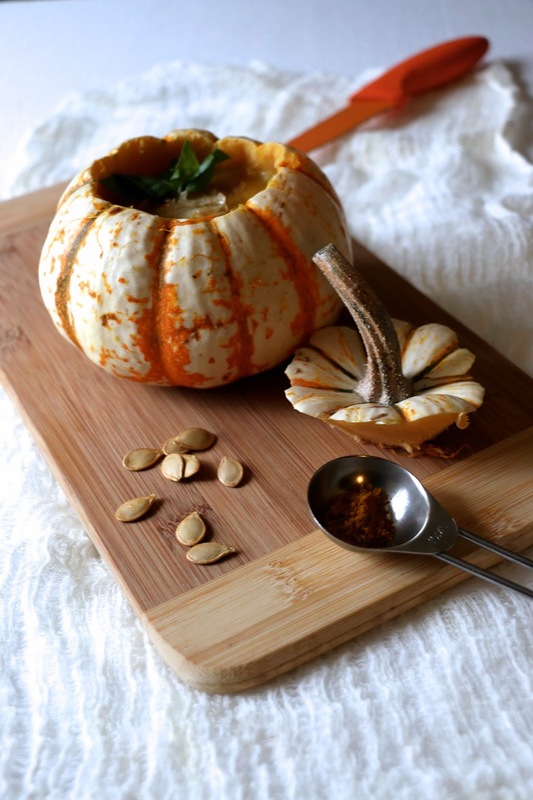 To make a pumpkin bowl, using a carving or paring knife, carve the top off of the pumpkin. Create a circle sliding the knife diagonally. Then carefully remove the pumpkin from the skin, discard of the seeds. 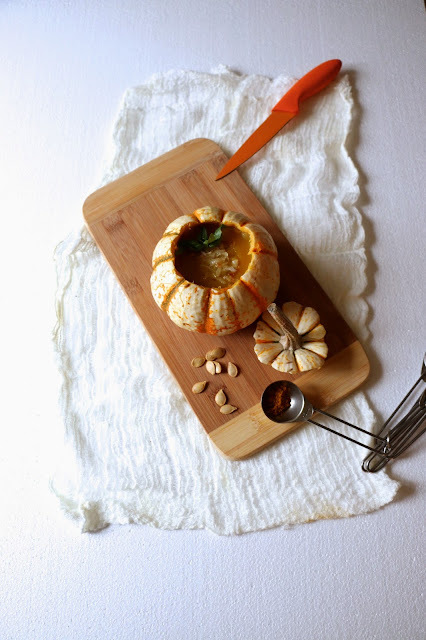 Be very careful towards the bottom of the pumpkin to not create any holes. 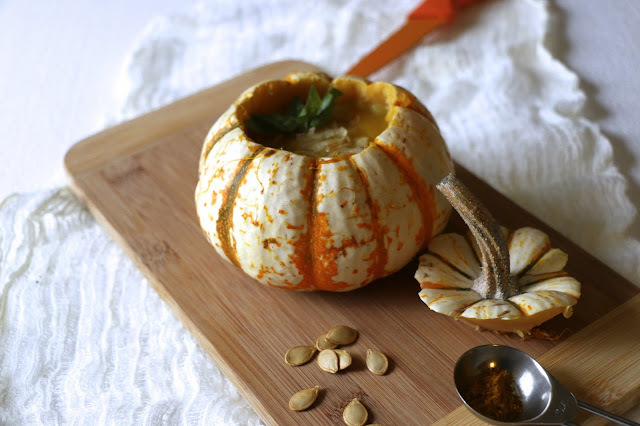 In a pot, add pumpkin pieces, chopped onion, garlic, & vegetable broth. Bring to a boil. Transfer the contents to a blender. Blend until smooth. Pour the mixture back into the pot. Add curry powder, nut meg, cayenne, & whipping cream. Simmer & serve immediately. To serve pour soup back into the carved pumpkin bowl, garnish with a drizzle of maple syrup, & coconut.